Are you ready for a robbery in Minecraft? 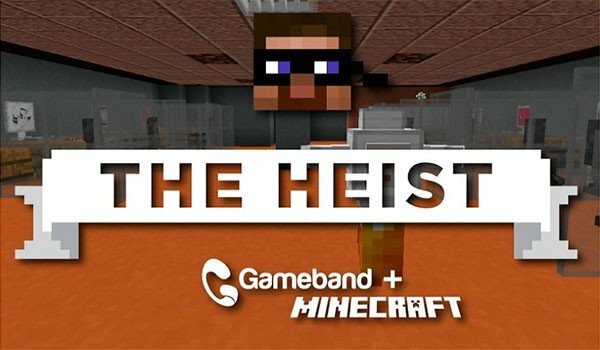 The Heist 1.8.8 is a map that poses the challenge of being able to access a high-security center to steal a number of very valuable prototypes. To do this we avoid all kinds of traps, alarms, robots, sonar and laser. This map contains about 6,000 command blocks to perform various operations. It is advisable to have a good processor to play this map correctly. Another requirement to play is adjust the map distance rendering to 8 chunks, turn sounds and have “Alternate Blocks” to “ON”, besides being able to allocate 2 GB of RAM or more for Minecraft. The creator of map recommend using a clean version of Minecraft, ie without mods, and even without Forge or Optifine, to avoid incompatibility problems and errors. How to install The Heist Map for Minecraft 1.8.8? ¡Access to high-security facility and steal valuable prototypes!